I teamed up with EIGHT other authors to deliver Love’s Gift, a collection of 8 Christmas romance novellas JUST in time for the upcoming holidays! I have to stop here and just thank the WHOLE team of authors that I was privileged to work with these last few months. I am honored and blessed to be on your team and am so thankful for all I’ve learned from each of you! It wasn’t always easy. Getting THAT many women together and bouncing ideas off each other, and having to, like, AGREE on a cover and book title and all that jazz — it was bound to get interesting! And it did — but only in OH so good ways! I felt God’s hand on this project from day one and prayed over it daily, and I am just so proud of our final product! Wanna know what MY novella is about? will take a true Christmas miracle. then he falls for the beautiful shopkeeper—quite literally. these two (sorta) opposites be able to find a happily-ever-after together? My novella will also be available as a single both in ebook and paperbook in November, but why wouldn’t you want to get *8* novellas NOW for the price of one?!?! If you want to help us out by spreading the word, feel free to copy one of these memes above and post away on social media sites! I’ll also have them posted with a link on my author Facebook page that you can share! We’re already in the TOP TWENTY Christian contemporary romance’s on Amazon with our preorder — we’d love to move that closer to #1 with your help!! 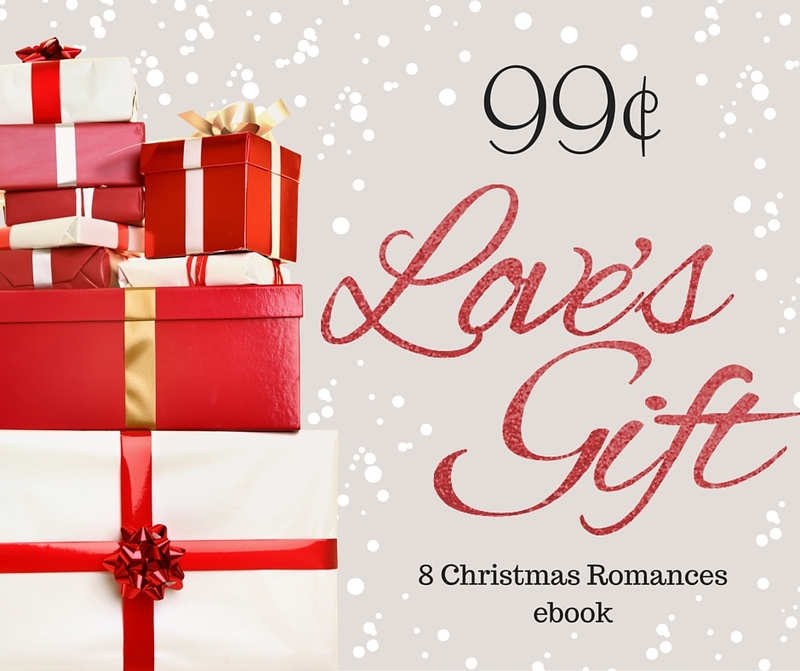 I was SO EXCITED last week (when you first mentioned that the Love's Gift set was available for pre-order) to find that it was only 99 cents on Amazon in the ebook edition! I pre-ordered it then, and it was successfully delivered last night. Both of my daughters-in-law have read my copy of Sandwich with a side of Romance, and I got it into the upcoming 6-month list for my Faith-Based Book Club group at church. Congrats on another publishing venture complete!! I just ordered my copy from Amazon!